Frank Biasi became a novelist following a successful business career. 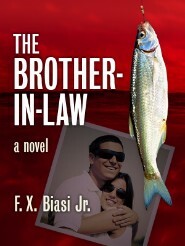 On February 23, his novel, The Brother-in-law, advanced to the next round in Amazon’s 2012 Breakthrough Novel contest. Frank discusses his three-phased marketing approach and how pricing figured in to it. Just days before the catastrophic events of 9-11, and after months of meticulous plotting, a disguised Bart LaRocca inflicts vengeance on his brother-in-law, the powerful and unscrupulous Mafia boss, Al (aka Little Nicky) Nicosia. Bart then vanishes without a trace. The Brother-in-law is a fictional, suspense-filled, forty year saga of an Italian-American couple and their son, whose lives are caught up and shattered by their insidious family association with the New York Mob. I believed I had an entertaining story but was frustrated by not being able to find an agent interested in getting it before an audience. This is my first attempt a putting out a commercial product. As I said, I have been unable to find a literary agent willing to pitch my work. The whole experience of writing and publishing has been the most rewarding thing I have done since I retired from my business career. Perhaps that is because it was never one of my goals or objectives, nor did anyone have expectations that F.X. Biasi Jr. would be a published novelist. 5. What are your marketing techniques for selling your book? First, I have to tell you that I did not feel comfortable doing all the self-publishing details myself. I sub-contracted editing, cover and interior design to professionals. If nothing else, I wanted to market a visually appealing product. I am still in the early stages of my marketing plan. I just completed the first phase which was to establish a website and sell some e-books on Amazon and Barnes & Nobel for the purpose of getting feedback on whether it is a readable, enjoyable story. I announced the initial e-book publishing to a list of approximately two hundred acquaintances. I also posted it on Facebook and LinkedIn. Phase two is to make changes, based upon the feedback, and republish, this time with paper and ink as well as digital. My plan is to initially only do POD probably through Lightening Source. In the interim, I have submitted the manuscript to three book award contests. The second announcement will be to same people as before plus several professional and alumni organizations from my past and book clubs that I am currently identifying. My goal from this second launch and the book award contests is to garner some usable accolades. Phase three is a lot less tangible but I think it includes submitting books to news media in the more than dozen or so areas that are prominent in the story. Obviously, it is way too early to assess the merits of any of my approaches. 6. Are they any marketing techniques that you intentionally avoided? Yes, I avoided the strategy of putting the book up for sale at $2.99 or less. I figured that there are plenty of “cheap books” out there. Maybe people will see a slightly higher price as a sign of quality. The other reason is because I was taught in business that it is easier to lower a price than to raise it. 7. What is the most important thing you’ve learned about self-publishing that you didn’t know when you started? Not all copy editors are created equal. Get recommendations. I would have gone to Smashwords first rather than to Amazon and Pubit directly. The idea of one vendor for my e-book is appealing. I’m probably not the right person to answer this question. What, I’ve probably sold only a couple of hundred books in the three weeks my novel as been out there. But, pressed for an answer I would suggest you get as much advice as you can from the internet. There is so much free advice out there I am sure you can find lots of stuff that can help market your book. Besides marketing my first novel The Brother-in-law I have started a second novel which is a spin-off of one of the characters in it. What a great question. Perhaps a writer’s style is best described by his readers, but that said, I believe my style in The Brother-in-law is a character-driven story emphasizing complex inter-personal relationships and emotional events in a backdrop of suspense. They can go to my website, fxbiasijr.com or go to the “About the author” in both Amazon and Barnes & Noble.